Like many of us, the label Definitive Jux, aka Def Jux before Uncle Russell got all legally protective, was a revelation in the young life of Jason Drake. The difference is that while we looked to Def Jux as the beacon on independent rap that defied the mainstream stagnancy and remains a guiding light of influence on dozens of artists still, Drake remembers those days as the director of marketing, likely sweating over how to keep the label’s vision in high regard. It’s a relationship that continues to this day, as Drake assists in the design process of Run The Jewels. 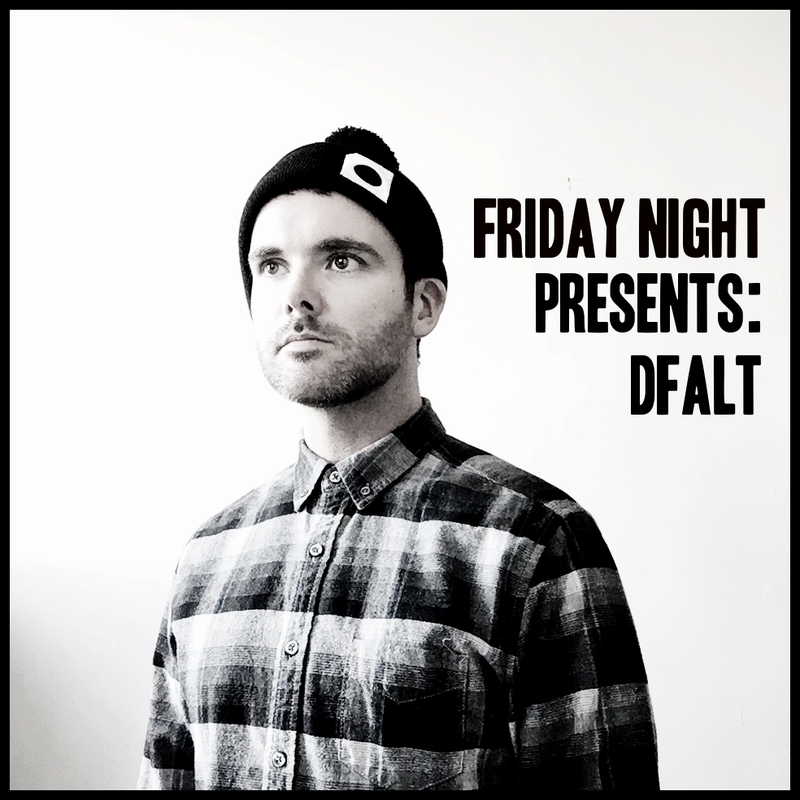 Oh, and he’s Dfalt, an instrumental hip hop producer that would have been at home on the now defunct label. For those who remember Cassettes Won’t Listen, that was Drake before he adopted the Dfalt moniker. It’s a worthy coinage, as the sounds found within the recently released Blackbook EP embody a darker breath, significantly digitized beyond the analog spools of tape. While Definitive Jux largely prophesied the digital disrupt and police state anxiety of a dystopian future, Dfalt is a cipher to the prophecies fulfilled and a soundtrack to mass alienation. Like many of us, Drake is nostalgic for the halcyon days with Definitive Jux. To honor the label that gave him his sea legs, Drake crafted the “Life At Def Jux Mix”, which spans the discography of its flagship artists like El-P, Aesop Rock, RJD2 and Cage to the singles like Despot’s “Look Alive” and Company Flow’s “DPA” that shaped the label’s narrative. I originally planned on an old school hip hop mix, tracks that inspired me to be a musician/DJ/producer. Sorting through these tracks eventually led me to my Def Jux discography. I hadn’t listened to many of these for a long time and was instantly pulled back into my days working for the label. The mix represents a huge part of my life, I was with them since the beginning of the label until it went on hiatus back in 2010. Im still working with these guys to this day on the Run The Jewels project but it’s good to look back. It was great to mix a collection of songs that have had such an impact on who I am as a person and as an artist. Dfalt’s Blackbook EP is out now and preorders are available for his self-titled debut slated for June 2 on Plug Research.